"What sets apart FirstClose's Portfolio Review Service is the unique level of detail that's all-encompassing," said Tedd Smith, FirstClose CEO. "That roundtrip history of the assets reviewed underscores the true value of lenders' portfolios with data that's accurate, up-to-date and critical to making short term and long term decisions." AUSTIN, Texas, May 15, 2014 (SEND2PRESS NEWSWIRE) — FirstClose, an Austin, Texas-based mortgage technology service provider, announced today the expansion of its Portfolio Review Service for current home values, liens and encumbrances. Lenders can now access a detailed asset valuation that meets compliance requirements, but also exceeds expectations with a summary of the featured properties’ transactional histories. The result is a comprehensive solution for lenders that documents the strength of their portfolios through additional data. An expanded review process is available on first and second mortgages, as well as HELOC-specific portfolios. FirstClose’s Portfolio Review Service includes detailed information about factors that negatively or positively influence the assets’ value or negatively affect the lender’s lien position such as new liens, judgments, foreclosures and other encumbrances. Lenders submit property addresses in a simple spreadsheet format; the spreadsheet is then reviewed and annotated within 48 hours. Additional information, such as changes of ownership and property tax history, can also be provided. 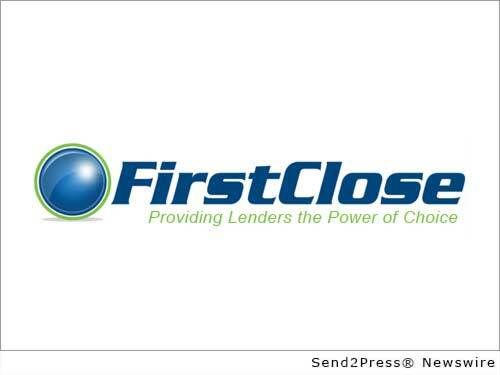 FirstClose ( http://firstclose.com/ ) is an Austin, Texas-based online service, owned and operated by First Lenders Data, Inc., a mortgage settlement service solution for lenders looking to improve efficiency and accuracy while lowering costs and turn-around time. FirstClose aggregates nationally recognized vendors and service providers into one easy-to-use online or integrated solution. FirstClose services include credit reports, flood certifications, AVMs, property condition reports, hybrid valuations and traditional appraisal products, as well as income verification, tax tracking, title searches, title insurance, alternative lien reports, doc prep, closing and recording services. FirstClose also specializes in integrating all settlement services with lenders’ preferred vendors into their loan origination systems (LOS), to eliminate duplicate data entry and obtain reports and critical data elements back into the LOS. Visit http://www.firstclose.com/coffee-request.php to receive additional information about the offering or email Corey.Smith@FirstClose.com or Tedd.Smith@FirstClose.com.